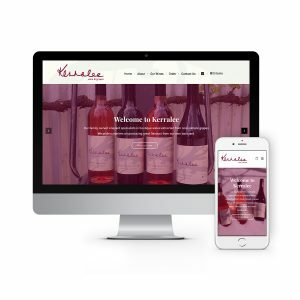 Fresh Creative’s Canberra website designer team is pleased to announce Canberra region vineyard Kerralee Wines’ website relaunch. The Kerralee Vineyard specialises in boutique wines extracted from cool climate grapes. Wine lovers that appreciate Kerralee’s flavourful wines are rapidly building this family-owned Canberra region vineyard’s reputation. Because Kerralee names its wines after family members, its wines incorporate a deep, personal touch. We produced a fully responsive website for Kerralee at kerralee.com.au. First of all, the site combines a simple WordPress-based content management system with a robust e-commerce platform. As a result, Kerralee’s wines, crafted in small batches, can now delivered to your homes. Also, the back editing feature allows Kerralee’s team to easily review and edit content on the website. They can add products with ease, and expect visitors to enjoy the website’s fast loading time. Contact us today to arrange a meeting with our Canberra website developer team.